It is the ‘one-stop’ county for coarse and pike fishing with year-round potential for great sport thanks to huge stocks of bream, hybrids, roach, perch and pike. 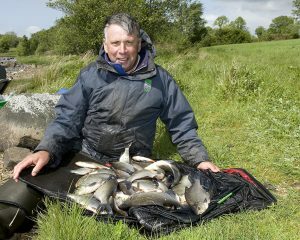 Recent seasons have been outstanding and County Cavan – and its famous rivers and lakes – is ahead of the field for those anglers who simply come along for some decent for pleasure fishing. Any you will have the time of their life. Catches have been extraordinary and once again an unusual large number of tench popped up in mixed nets of bream, roach and hybrids.